Over 9 million people in the UK are registered disabled; for a large majority of them mobility will be a major issue. The UK Equality Act 2010 tells us that public buildings, premises and leisure environments have a duty to make ‘reasonable adjustments’ such as lifts or ramps, in order to make access easier. At Tower Lifts we have seen major developments in the area of enhanced disability access over the past few years, with every sector demonstrating their awareness and responsibility of the issue, by seeking advice from a disabled lift company such as ourselves and installing one of the many platform lifts which are now available. They are able to bear heavy loads without sacrificing speed or safety. They are spacious enough to accommodate wheelchairs. The controls are at the right level for wheelchair users and are readable by partially sighted passengers. The mechanism is elegant, attractive and efficient – like any other lift. 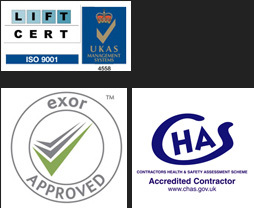 The lift adheres to all regulatory controls and is well maintained. As a premier disabled lift company for the UK, we are able to guarantee our clients that the wheelchair platform lift we install represents cutting edge engineering solutions for disabled passengers. Disabled lift installation is now varied and diverse; our UK lift installation services provide enhanced mobility and access in domestic homes, hotels, shops, apartment blocks, theatres, galleries and heritage properties. Our step lift installations provide an efficient mode of transport up short flights of stairs, or across split-level flooring. Vertical platform lifts look more like a traditional elevator, except that they are spacious enough to easily accommodate a wheelchair, and they are specifically designed for the ease and safety of wheelchair users. A platform lift makes disabled lift installation relatively quick and easy, as there is no requirement for a pit, or shaft to house the mechanism. If you are thinking of installing a wheelchair platform lift but need advice and guidance on how to go about it, call us today on 01525 601099 to find out how we can support you.